MainAll NewsInside IsraelNetanyahu: Where is the International Community? Netanyahu: Where is the International Community? Prime Minister Binyamin Netanyahu has issued a public response to the attempt on Temple Mount activist Yehuda Glick's life Thursday, calling out the international community and the Palestinian Authority (PA) in the process for "hypocrisy" regarding incitement. "I would like to send my best wishes for a full and quick recovery to Yehuda Glick, who is now fighting for his life," Netanyahu began. "I would also like to commend the ISA and the Israel Police for quickly solving this act of terrorism." Glick - who founded and heads the LIBA Initiative for Jewish Freedom on the Temple Mount - was shot in the chest on Wednesday night outside the Begin Heritage Center in Jerusalem, after the shooter pulled up in a motorcycle or scooter and confirmed his identity before shooting. He had been speaking, minutes before being shot, at an event for Jewish rights on the Temple Mount that had hosted leading religious figures and MKs. Likud MK Moshe Feiglin with with Glick as he was shot. 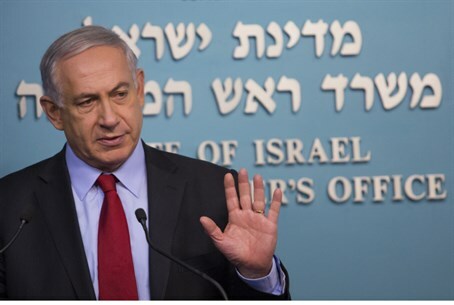 Netanyahu then turned to the international community, which has remained silent after the shooting and in the face of a major upswing in violence in the capital over the past several months. "A few days ago, I said that we were facing a wave of incitement by radical Islamic elements and by Palestinian Authority Chairman Abu Mazen [Mahmoud Abbas - ed.] who said that Jews must be prevented from going up to the Temple Mount by any means possible," he continued. "I still have not heard from the international community so much as one word of condemnation for these inflammatory remarks. The international community needs to stop its hypocrisy and take action against inciters, against those who try to change the status quo." Abbas stated, minutes before Netanyahu spoke, that closing the Temple Mount Thursday following the attack was a "declaration of war." Two weeks ago, Abbas called for Palestinian Arabs to stop Jews from ascending the Temple Mount - Judaism's holiest site - "by all means." "It is not enough to say the settlers came, but they must be barred from entering the compound by any means. This is our Aqsa... and they have no right to enter it and desecrate it," Abbas said, calling the Jews "a herd of cattle." Abbas's remarks were roundly condemned by Israeli officials as clear incitement to violence, sparking new rounds of lawlessness in an already-tense situation in Jerusalem. Netanyahu, specifically, had called out Abbas on the statements, after Hamas terrorist Abdelrahman Shaludeh rammed his car into a pedestrian walkway just a few days later, killing a three month-old baby girl and a seminary student and wounding 7 others. The prime minister added that he has stepped up security reinforcements throughout Jerusalem. "I have ordered significant reinforcements so that we can maintain both security in Jerusalem and the status quo in the holy places," he said. "This struggle might be long, and here, like in other struggles, we must first of all, lower the flames." "No side should take the law into its own hands," he concluded. "We must be level-headed and act with determination and responsibility, and so we shall." Earlier Thursday, Israeli Special Forces (Yamam) eliminated 32 year-old Islamic Jihad terrorist Mu’taz Hijazi of Abu Tor in East Jerusalem, the prime suspect in the shooting, after he resisted arrest. Islamic Jihad claimed responsibility for the attack shortly thereafter, saying it was "vengeance for what is going on in Jerusalem," referring to police efforts to tackle ongoing Arab rioting. Terror attacks in Jerusalem have swelled from 200 attacks to 5,000 monthly since July, Jerusalem Mayor Nir Barkat revealed earlier this week. Hamas official Mahmoud Al-Zahar declared the attacks a "third intifada" on Saturday, and called on Palestinian Arabs to join. Several of the biggest attacks recently, including the Jerusalem light rail attack and the shooting, have been claimed by terror organizations to be "in response to the war on Palestinians in Jerusalem."